Rossland has caught the attention of the “Completing the Story” group and not for the right reasons. Edmonton-based member Paula Kirman explains the group’s social media movement. 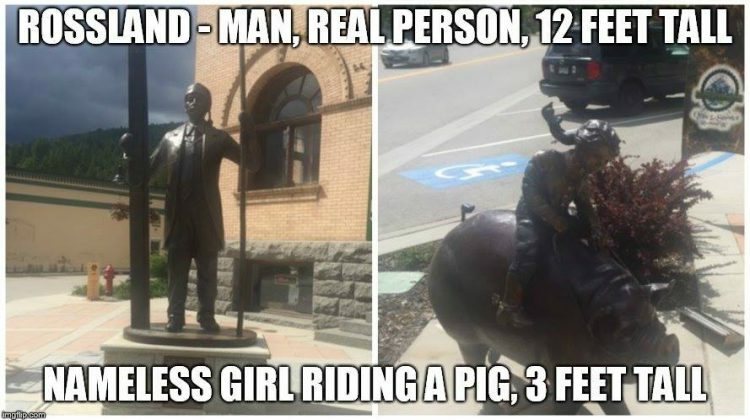 The group noticed the large statue depicting Olaus Jeldness while down the road is a much smaller statue of a girl riding the back of a pig. The group feels legendary Rossland skier Nancy Greene Raine should have a statue.